Look right as you reach the end of the three-hour drive from Darwin and your eyes stick onto a big pile of yellow something. Then your brain clicks into overdrive. "This is a uranium mine, right? So that must be yellowcake." Then: "This is what the fuss was all about... this is what Saddam didn't try to buy from Niger. And here it is, just sitting out here in the rain." Fortunately, though, the yellow something turns out not to be yellowcake - but sulphur, used to make the 280 tonnes of sulphuric acid which the Ranger mine's processing plant needs every day. At the gate we stop for security clearance, don goggles, hard hats and protective boots, and walk on to the site of Australia's oldest operating uranium mine. Ranger exported its first barrels of uranium in 1981, and is now one of three mines operating in Australia. The country has no nuclear energy programme of its own, but, even so, uranium arouses powerful and contrasting emotions here. Ranger finds itself in a delicate ecological situation; since operations began three decades ago, the land around it has become Kakadu National Park, now one of the world's most iconic conservation regions. 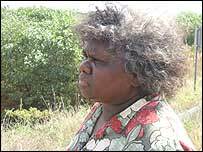 There has also been a sea-change in how the nation treats Aborigines. The mine's owners, Energy Resources of Australia (ERA), now do not own the site itself, but lease it from local indigenous groups -"traditional owners". 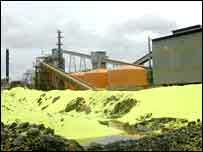 The identity of the yellow stuff was not the only misconception I found about uranium mining. Friends had asked whether visitors needed lead suits and Geiger counters. "Often people believe that radiation would be our primary health risk here - in fact it's not," says Alex Zapantis, ERA's manager of environment, safety and health. "Uranium is actually not very radioactive, and it's simple physics; the longer half-life something has, the less radioactive it will be by mass." The half-life is the length of time it takes for half the atoms in a sample to decay; the shorter it is, the more intense the material's radioactive output. The half-life of uranium-238, the mineral's main component, is four and a half billion years. "So as a consequence it has a very low specific activity," Alex continues, "and the only way someone could receive an unacceptable dose in our mine is through inhalation of quite large quantities of ore dust, which is very easy to monitor and quite easy to control." However, like other heavy metals, uranium is poisonous - another reason to take safety seriously. The dustiest part of the process comes at the very beginning, when rock containing uranium ore is blasted into fragments. Les Smith, a 12-year Ranger veteran, takes me in a pick-up truck to the edge of Pit Three. Mining is done in layers, leaving the wall of the mine looking like a rice terrace built by giants. There is no rice, of course, but already grass and small bushes are colonising the oldest surfaces near the top. We drive down to the pit floor. This is the wet season in Australia's tropical north, and our day has been punctuated by brief but extremely violent bursts of rain, leaving the road with a muddy sheen. "This time of the year, the main safety issue is wet conditions, and we do wet weather training for all our drivers," Les tells me. Not a radioactive hazard, then, as many would suspect, but ordinary road safety. At the top of the pit, full trucks drive under a discriminator - a gantry carrying detectors which pick up radioactivity from the ore and determine the concentration of uranium - the grade - in that particular load. This is important, because the processing plant operates most efficiently when fed on a steady diet of 0.3% ore. So, batches of different grades are mixed in order to keep the input at that consistent level. Hidden away inside giant anonymous industrial buildings is the processing plant, where ore eventually emerges as a fine powder after going through a series of crushers. Next comes sulphuric acid, which leaches the uranium and other metals into aqueous solution. Uranium is sorted from the other metals by bringing in a kerosene-like liquid with affinity for the radioactive element but nothing else. Finally, a pile of yellowcake does emerge; but that is not quite the end of the process, as drying produces green uranium oxide. Ranger exported 5,900 tonnes last year. "We've had a number of incidents as you will at any industrial facility, at any mine," says Alex Zapantis, "but none of them has ever caused any damage to the environment." Not everyone would agree with that assessment. ERA has been fined several times down the years for various spills and other incidents, most recently last year after clean and contaminated water systems became accidentally linked, exposing about 20 workers to water containing uranium. A key question is whether this kind of record is specific to uranium mining or whether any mine would see a similar list of incidents. Alex Zapantis believes that Australian uranium mines are very tightly regulated and safer than most - bad press comes, he believes, as a consequence of generalised opposition to nuclear power. "I'll give you an example," he says. "The regulatory requirement for us in terms of uranium in Magela Creek, which is the creek that flows past our operation, is six parts per billion. "To put that in context, the drinking water standard is 20 parts per billion; so in fact the environmental protection requirement for us is stricter than the drinking water requirement for anyone around the world. "Monitoring indicates that the actual concentration is typically less than 0.l parts per billion." Whatever the record, Ranger will be gone within a decade, the economic portion of the deposit exhausted. Under its agreement, ERA must return the site to its original pristine condition, and is in discussions about exactly what that means and how to achieve it. 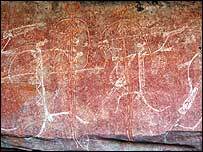 Another economically viable ore body, Jabiluka, lies nearby, but the traditional owners vehemently oppose mining there. Ranger's closure may mark the end of uranium mining in the Northern Territory. As we drive back to the capital, Darwin - the only sizeable population centre in the far north - it strikes me that the firm's dilemma is a microcosm of the global uranium situation. 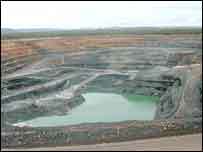 There is a constituency within Australia which would like to see all its uranium mines close. But the government supports the industry. So, as Ranger closes, other mines will open. However, even a complete closure of all Australian mines would not make nuclear power go away. For China and India it is a key component of their drive for plentiful energy to fuel their economic growth, the Bush administration is squarely behind plans to build new reactors, and some European countries are committed to the technology. Demand begets supply. If Australia did close operations, production would simply expand elsewhere. Niger, perhaps?